For folks who built their business on serving the public for free, TV broadcasters sure are ramping up their work to get more money from viewers. A survey by the American Cable Association projected that retransmission consent fees will rise 88% by 2020 for its members. Although it’s not automatic (the price of a product is not solely based on the price of its ingredients), cable companies typically pass along those fees as rate increases to their subscribers. Which means that folks who don’t get their local channels for free with an over-the-air antenna will be paying that much more for the privilege of watching those same channels delivered over a wire. One could argue that local channels have become less valuable, not more, in recent years as viewership has declined. Yet the ACA could point to an operator who saw its retransmission payout rise from $8.53 per subscriber per month in December 2017 to $14.65 in January, a jump of almost 72%. The subscriber rate hikes that these retransmission fees will cause should accelerate the move to cord-cutting, and some of those viewers might get too busy with Netflix or Amazon Prime to watch as much local TV. By raising the price, broadcasters might be hastening the day when their public service just doesn’t matter. Too many people will stop watching, and they might just take some cable systems down with them. Are These Really “Cable-Cutting Problems”? February 13, 2018 by Michael Kilgore·Comments Off on Are These Really “Cable-Cutting Problems”? 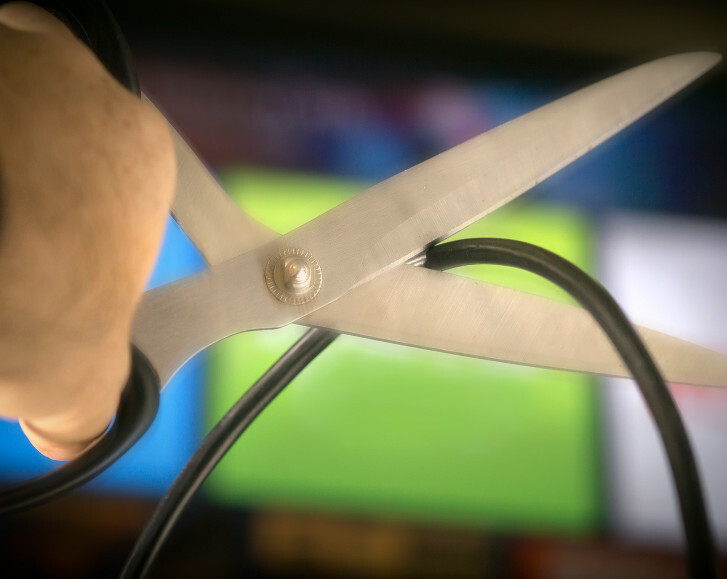 Huffington Post’s Todd Van Luling ran an article yesterday about the 5 Cable-Cutting Problems You Probably Didn’t Think About. They’re worth considering, though most of those problems could have been easily prevented. Go ahead and read that article first, then come back for the rebuttal. 1. The new live services have buffering issues. Yes, DirecTV Now and Hulu have had well-publicized problems, but Sling with its earlier launch seems to have figured that one out after its first couple of months. 2. It’s impossible to get every channel you had before. Most of the comments were about trouble with local channels because of bad over-the-air TV reception. The lesson here is not to return to cable, it’s to upgrade your OTA reception. 3. Streaming live sports can be particularly tricky. (See also #1.) The three comments were, in essence: My husband needs the local channels, We have (an OTA) antenna but it’s flaky, and We were watching the Super Bowl on Hulu when it puked. In other words, it’s another problem that would be solved mainly with a good OTA antenna. 4. Internet problems can mess with streaming. This is the most important issue of the five. If you cut the cord and want to stream over-the-top services, you need reliable internet service with decent bandwidth. You’re stuck if your internet provider fails, but that’s also true for cable viewers when their provider has problems. 5. You might have to fight your cable company. Well, yes, some cable companies are notoriously stubborn about cancelling service. Yet every month thousands of subscribers manage to complete the process. Also, content libraries shift. What you want next month may have left Netflix, but if your heart is set on a given movie or show, buying or renting it online is still cheaper than a big cable bundle. And I think that points to another mindshift that’s helpful to a cable-cutter – even when that one program isn’t available, there’s always something else that is. To summarize my perspective, if you want to drop pay-TV, the first order of business is to get a great OTA antenna positioned for maximum reliability and channel selection. Second is to line up really good broadband internet access. Then if you want some of those old channels, my current recommendation is Sling, which has the best price and few issues. That might be different a year from now as lineups shift and the other OTT services mature. The video disruption experiment continues. How Much Do You Want To Pay For The Olympics? February 5, 2018 by Michael Kilgore·Comments Off on How Much Do You Want To Pay For The Olympics? Speaking of 1992, as I was just a few days ago, in that same winter I participated in a survey about a special cable-TV package for the Olympics that was coming up that summer. Of the possible names, I picked the Olympics Triplecast, which was what NBC went with. They thought that two million households would pay $95 or more to see three channels of live coverage from Barcelona rather than waiting for prime-time, tape-delayed Olympics programming for free. Only about 200,000 subscribers paid for what the Philadelphia Inquirer called “the biggest marketing disaster since New Coke”. Which brings me around to the 2018 Winter Olympics, which begin in a couple of days, and how to watch. Most the options are based on one question: What parts do you want to watch, and how much are you willing to pay to watch them? Maybe that’s two questions. Among streaming services, Sling TV Blue will give you NBC Sports Network and USA for just $25/month. CNBC is part of Sling Blue’s News Extra add-on, another $5/month, so you could see whether those few events are worth it to you. DirecTV Now makes that choice for you, including all three in its most basic Live A Little package at $35/month. Ditto for YouTube TV‘s standard $35/month plan. Fubo TV has all three in its basic $45/month tier. Compared to the Triplecast, today’s over-the-top streaming viewers get more coverage for less than half the cost, not even considering inflation. If I don’t need to watch the Olympics live, then recording broad swathes of NBC on my Tablo would probably work, letting me skip past the puff pieces and the sports I don’t want to watch. On the other hand, I’m really happy with my basic Sling Blue subscription, and I’ll find out just how much curling and ice hockey it will give me. AT&T’s traditional pay-TV services lost over 1 million subscribers last year, according to its quarterly earnings report, relayed by FierceCable’s Daniel Frankel. The company pointed to a roughly corresponding increase in customers for its over-the-top DirecTV Now service, but MoffettNathanson analyst Craig Moffett wasn’t impressed. “That the company continues to grow its base of DirecTV Now subscribers isn’t helpful — AT&T loses money on them,” he said. Meanwhile, Jon Fingas of Engadget tells us that the next generation of DirecTV Now interface is in the pipeline for full launch this springs. The new version will also include a cloud-based DVR and support for a third stream. And in general, US broadband-only households are projected to nearly double in the next five years according to a guess projection by Kagan, a media research group within S&P Global Market Intelligence, quoted by Advanced Television. It said that Kagan expects 38.4 per cent of the combined residential cable and telco wireline broadband subscribers in 2022 to rely broadband and over-the-air TV. I guess we’ll see. Last week, the Paramount Network debuted on pay TV services across the country. It has been through so many changes over the past 35 years that it’s the perfect example of Kilgore’s First Law of TV: Every channel, regardless of original niche, becomes like every other channel. 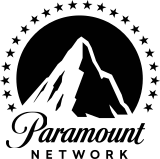 What was the road to the Paramount Network? Wikipedia says it started on March 7, 1983 as The Nashville Network (TNN) featuring country music and NASCAR events. Gaylord Entertainment Company bought TNN in 1987. After Gaylord bought Country Music Television in 1991, it shifted TNN’s music programming to CMT. In 1995, Westinghouse/CBS bought both TNN and CMT, and Viacom acquired them in 1999. Under Viacom ownership, TNN began to target a broader audience with general entertainment programming, as well as roller derby and wrestling. These changes culminated with TNN being rebranded as The National Network in September 2000, coinciding with its acquisition of WWF Raw. The network continued its shift to general entertainment with subsequent acquisitions, such as CSI and the Star Trek franchise. In August 2003, TNN relaunched as Spike TV — the “first network for men”. The new branding was marked by an increase in original programming targeting a young adult male audience. In June 2006, Spike repositioned its branding with a more explicit focus on the action genre. In 2010, Spike re-branded with a wider demographic reach and an increased focus on reality series. In 2015, the network re-branded again to emphasize gender-balanced series such as Lip Sync Battle and a return to original scripted programming. And that brings us to last week, when Spike re-branded as Paramount Network as part of an effort by Viacom to give the company a general “flagship” outlet for original scripted series (positioning the network as a competitor to other “premium” basic cable networks such as AMC and FX). Because of its predecessors’ long history and Viacom affiliation, Paramount launched with about 80% of US TV households, a number that would be impossible if it had launched from scratch. That shows the value of any beachhead on the cable lineup, and is one of the main reasons why my First Law should remain true for as long as there is televison.